The original compact SUV is beginning to show its age. To make it a bit more tempting, Renault has slashed prices of the Duster by as much as Rs 1 lakh. While it may not be the most loaded SUV in terms of equipment, or the most posh - it definitely is likeable. The fun-to-drive 1.5-litre diesel motor paired with the comfortable ride quality makes it a good all-rounder. If you pick the diesel, you get to choose between an AMT or an AWD setup. There’s a 1.5-litre petrol as well that offers the convenience of a CVT. Renault Duster prices start at Rs. 8.00 lakh for petrol and goes upto Rs. 10.00 lakh. The prices of Duster diesel variants start at Rs. 9.20 lakh and the top-end diesel is priced at Rs. 13.10 lakh. Renault Duster is available in 10 variants and 7 colours. Share your experiences with Duster? The claimed ARAI mileage for the Renault Duster petrol is 14 kmpl, and for the Renault Duster diesel is 19 kmpl. The new Renault Duster is certainly an improvement over what was already a great car and the new automatic gearbox makes a lot more sense, especially with traffic getting worse in the cities. With sharp new looks, an updated interior along with a very robust mechanical package, the Duster ticks a lot of our boxes. Q. Which is best SUV between Mahindra TUV 300 T10 and Renault Duster? Q. Which is better S-Cross and Duster? Q. Which is best car between Duster or Harrier? Q. Which is better Elite i20 or Duster? If considering for Duster Diesel then it's a better option. Otherwise go for I20 which is feature loaded. Simple. Q. Is Duster automatic petrol worth buying? No not at all ! I have a Duster 2016 model Petrol. Cons are many and outweighs pros. VizLow mileagePetrol priceMost importantly Lack of power which you need while overtaking or driving in hills. Q. Which is better between Creta and Duster? We finally get our hands on the long awaited Renault Duster Automatic that comes with a diesel engine and a 6-speed AMT gearbox. So was it worth the wait? What's the best compact SUV if your left leg doesn't like the clutch? Renault Duster is the second-most successful offering from French automaker Renault after the Kwid. Major chunk of Duster’s appeal lies in its broad shouldered design which has a typical squatted theme to it. 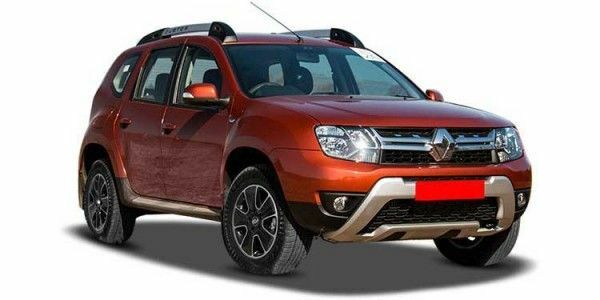 This also helps to make Duster more stable on the highway and coupled with excellent ride quality, Duster has won many hearts world over. That said, there are small issues and one such niggle is the average quality of interiors. Given that the car is priced in range of Rs 8.43-13.66 lakh (ex-showroom, Delhi), we expect the use of soft-touch plastic inside the cabin. Duster, however, offers plenty of space to the occupants and to their luggage. Powertrain options include 1.5-liter petrol and diesel engines putting out 105PS/142Nm and 84PS/200NM respectively. Duster also offers the higher output of 110PS/245Nm also in the diesel version. Currently, Duster is up against the likes of Hyundai Creta and Jeep Compass among others. If you like your SUVs tough, muscular and rugged, the Duster should appeal to you a whole lot. The design is nearly a decade old, but you’d admit - it does tug at your heartstrings with its bulbous wheel arches, high-set bonnet and large 16-inch alloy wheels. The facelift added a new pair of headlamps and tail lamps and redesigned bumpers but didn’t drastically alter the Duster’s aesthetics. It still looks like a purposeful small SUV that’s ready to take a beating. To say the Duster’s cabin looks a bit outdated would be an understatement. The design seems staid and the feature list isn’t as lengthy either. Highlights include a 7.0-inch touchscreen infotainment system (without Android Auto or Apple CarPlay), automatic climate control, cruise control (with a speed limiter) and not much else. Quality levels could’ve been a tad better too. Space on offer is par for the course. The high-seating position and comfy seats make the Duster a fantastic road-tripper. The 475-litre boot is among the most cavernous in its class and can pack in a treadmill if you fold the rear seats down. Trust us, we tried. You can choose between a 1.5-litre petrol or a 1.5-litre diesel engine. The diesel motor gets two states of tune - 85PS/200Nm and 110PS/245Nm, whereas the petrol makes 106PS and 142Nm. You can choose between a 5-speed manual or a CVT with the petrol motor, and a 6-speed manual or a 6-speed AMT with the more powerful diesel. Our pick would be the punchy 110PS diesel that seems at home on the open highways. Of course, it’s the only one in the pack to feature all-wheel drive. So, if getting dirty is your thing, the Duster is your only option for now. Maruti Suzuki S-Cross: Maruti's premium crossover suffers from the fact that it does not look like an SUV. It is a premium offering with a good amount of standard equipment, good space for five people and their luggage. Renault Captur: The Captur brings some style to a segment of boxy SUVs. If you want to stand out in the crowd or while munching highway miles, the big Renault is worth a dekko! Honda BR-V: Honda's offering in the segment is essentially a jacked up Mobilio with some mechanical changes to compensate for the raised stance. It is one of the only crossovers here which can seat seven people. Nissan Terrano: The Duster's better-looking cousin (for some), the Terrano suffers from being too overpriced for its own good. It does get a diesel AMT variant which is a good option for those looking for a convenient urban SUV. Hyundai Creta: There’s not much wrong with the Creta. It’s spacious, is built well inside out and drives well too. It’s got an appeal very few of its competitors can match. The Duster can survive an apocalypse. It’s built tough inside out and wouldn’t shudder at the thought of a road trip. It’s spacious and comfortable too. The only thing holding it back are the spartan interiors and a dated feature list. If you can make peace with that, the price drop has made it all the more tempting. Standout features include six airbags and a multi-view camera! duster is a very impressive in its dynamic and ride and handling is awesome. also the feedback from its steering is amazing. tough Bonnet and Exterior, Powerful engine, Sturdy, Strong ,. But Service station people will try to squeeze more from you .